This lamp adds a contemporary, nautical edge to your look. Made with a seafaring tripod structure and chrome metal detailing. Sleek and stable - crafted from wood finished in clear lacquer for a sophisticated feel. Also available in a white, black or grey finish. 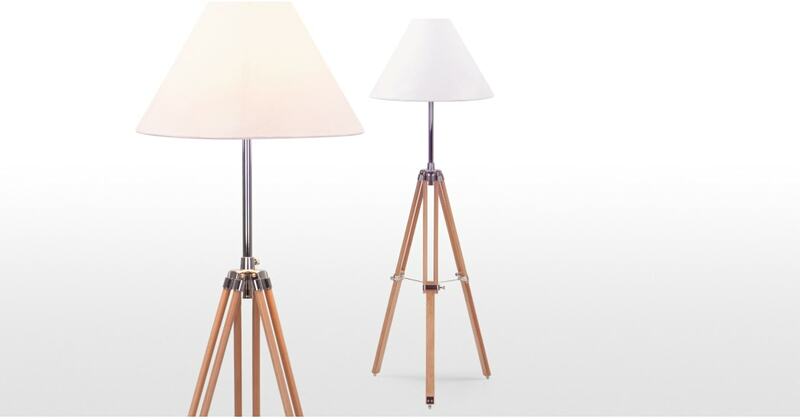 Click here to see all tripod floor lamps. Diamètre : 50 cm. Hauteur : 35 cm.